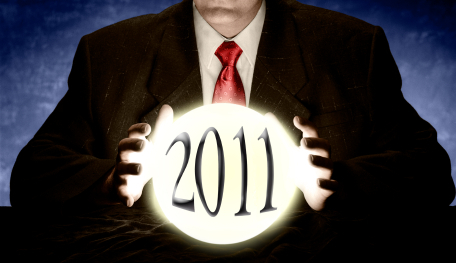 What will 2011 bring to the future of IT and the law? I have already seen a number of predictions by others so this will probably end up being a review of those together with my own tuppence worth thrown in for good measure. Most of the predictions I have seen come from the US or Canada and so do bear in mind that sometimes we are still catching up with what they are up to over here in the UK. Therefore, if I disagree with predictions from my friends across the pond it may simply be that I do not believe these predictions will apply in the UK in the same way as they might in North America. I am not so sure about this as I still see Twitter as a networking/interacting tool as much as an information sharing tool. I just think that many lawyers have not got to grips with how best to use it yet. 2011 will I believe see more firms actually using Twitter, Facebook and LinkedIn in a more structured and meaningful manner. Tweeting in Convoy, as Jon Bloor coined it, will become more prevalent. I will be introducing this concept to those unfamiliar with it at Lex2011 in March. I think the legal profession will accept social media as mainstream marketing in 2011 and will incorporate at least one (maybe two) social media platforms into their business development strategies. However, I think it may take a little longer than this year (at least in the UK) for it to become “mainstream” as such. I must also agree with Scott Greenfield that for some users of social media it will do little else for them than “fill the time of your day that would otherwise be spent playing spider solitaire”. It is how you use social media in 2011 and beyond that will be more important than simply using it. For lawyers, professionals who stand to benefit from blogging, I predict that the use of blogs by law firms will increase slightly. Blogs serve the dual purpose of increasing a law firm’s search engine rankings while showcasing the firm’s legal expertise. However, legal blogging will not be as popular as was in year’s past and rate of the deployment of new law blogs will slowly begin to decline in 2011. 2011: The Year of the Blawgs! This may be true in the US where blawging appears to be more popular amongst lawyers. In the UK blawging is perhaps less mainstream (although still a healthy scene as evidenced yesterday by Charon QC’s Blawg Review #292). I believe in the UK it is just about to mushroom and as @WardBlawG Tweeted to @TheTimeBlawg “2011 shall be the year of the Blawgs”. New in at #3 is a technology that will be very familiar, but maybe new to law firms and that is YouTube. Or at least similar online video capabilities, this has huge potential for IT training etc. Think about it, if you’ve a tech problem at home who hasn’t searched for a how-to video from YouTube? I agree, and not just for legal IT training but law firm marketing in general. The release in 2011 of user friendly platforms like Moviecom.tv (brought to you from Scotland) will make video production and distribution all the easier. This is an area I have not seen much in the way of predictions on. I think 2011 will see an increase in the use of online production of legal documents to allow clients to input information themselves through platforms such as Direct Law. However, what will be important is how law firms actually utilise this technology themselves and work it to best advantage. It will I believe be a little further into this decade before we really see the impact of this particular technology. Press here for the cloud! Cloud computing – where data and platforms are stored on servers located outside of a law office – is on the rise. For many lawyers, cloud computing is an affordable and flexible alternative to traditional server or desktop-based software platforms. In 2010, legal ethics committees across the country issued opinions offering guidelines for lawyers hoping to use cloud computing platforms in their practice. The issuance of guidelines was encouraging and offered lawyers a useful road map that ensured the ethical deployment of cloud computing platforms in their practices. Accordingly, as the comfort level for cloud computing increases along with demand, more innovative legal cloud computing platforms will be developed and the vendors will become increasingly responsive to the ethical concerns raised by lawyers. In the UK we will I believe see a greater take up amongst lawyers of cloud computing in 2011. In Scotland we now have cloud computing offerings tailored for the legal profession from Denovo Business Intelligence and Law Ware. And this rise in the use of mobile devices will, I believe, be partly linked to the take up of cloud computing. However, for some law firms what I and others predict for 2011 will be just a dream. Many have yet to start effectively using e-mail as a replacement for letters, envelopes and the postal system let alone contemplate social media! Some law firms do not have a decent or any website let alone consider the online production of documents. I met a lawyer in 2010 who had just procured his first mobile phone (not a smartphone I hasten to add) and it was not for business purposes! The reality is that most lawyers are relatively late adopters of new technology. Accordingly, we can expect that most law firms will not rush to accept new technologies and may even, in reactionary spirit, resist their introduction. So whilst these predictions will happen in some law firms in 2011 it may be a good bit further into the decade before they happen in many others. What do you think 2011 will bring to the future of IT and the law? Laurie A on 03/01/2011 at 5:40 pm. I’m sure that social media use (including Twitter), blawging and video will increase, but in the UK I’d imagine these will remain outside the mainstream for another year or more. As you say, lawyers can be very conservative about new technology. I think the main difference is that exemplars of these new technologies (such as Inksters) will extend their profile outside the current UK legal social media world, as marketing directors of mainstream firms start to get more interested in these technologies. I don’t see 2011 as being a breakthrough year for these technologies. Maybe 2012? Online documentation will come, but it still seems to be to be too early for this to be mainstream. 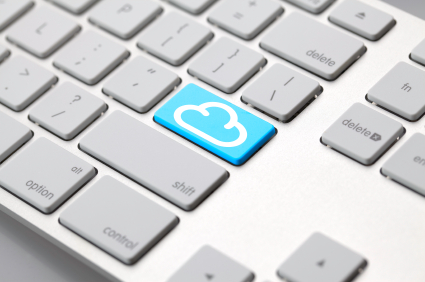 Cloud computing will be used informally by individual lawyers, but at the moment the regulatory regime would seem to rule out many services for professional use (Jon Bloor has dealt with this in some detail here: http://ipadlawyer.co.uk/get-off-of-my-cloud). So far as the larger firms are concerned, the dedicated professional systems that are out there will need to go through internal purchasing cycles of anywhere up to a year before they are adopted anyway. Mobile computing is something that I can see being big this year – not just in the context of use of new mobile devices like the iPad, but also in the context of remote access and conventional laptop/desktop computers. Working from anywhere will become mainstream, but using conventional laptops, rather than tablets. One key point, again from Jon Bloor, will be data security and encryption (http://www.peninsulawyer.com/blog/2010/12/23/class-of-2011-encrypt-your-data.html) – particularly as the ICO shows its teeth in handing out fines for data protection breaches. One tech-related prediction for the legal marketplace for me. This year there will be more niche practices of one or two lawyers as technology-aware lawyers in larger firms become frustrated with conservative technology practices in their current firms and look to set up on their own, taking advantage of all the technologies you have mentioned. Brian Inkster on 03/01/2011 at 6:32 pm. What you say about the profile of firm’s such as Inksters extending beyond the current UK legal social media world is indeed happening in 2011 with me speaking at two conferences in London in March and April. In particular the second of these conferences will have speakers from several firms that possibly fall within that ‘UK legal social media world’ but who will be in front (perhaps for the first time) of the ‘marketing directors of mainstream firms’. Totally agree with what you say about niche practices emerging and taking advantage of these technologies. This is what John Flood refers to as the ‘Rise of Boutiques’ (http://johnflood.blogspot.com/2010/02/rise-of-boutiques.html). He kindly references in the comments to that post my own firm as one such Boutique. I was having a discussion on Twitter with Charles Christian today regarding the question of mobile devices. He tweeted that he thought “the #legaltech prediction in smartphones is off message: #Blackberry will continue to dominate with its new tablet.” As an iPad lawyer do you have any views/comments on that? Jon Busby on 03/01/2011 at 6:27 pm. Interesting and vested interest declaration. I am curious why lawyers see document automation as a thing to deploy in a few years time. It offers instant ROI, which blogging and social media do not. Automation instantly, right here, right now, removes cost from your process. Which means you can start using it right from a client phone call, if…and this is the big if, it is appropriate. Stripping that cost out, whilst maintaining the human quality value bit means either more margin for you or price reduction for your client. Will blogging or social media do that for you tomorrow? Useful though they are they are a very long burn. Do you have the time? Spot on point re lawyers using automation properly. If you can’t do that then don’t buy into it. Good post Brian, best wishes for 2011. Brian Inkster on 03/01/2011 at 6:48 pm. Many lawyers need to start by getting online with a decent website that their clients and potential clients will find and use before they even contemplate social media and blogging never mind online document automation. Your point for 2011at Legal 2.0 was that “it will be the web that will be the defining tool for [the legal] industry”. I agree, but many law firms still have an awful lot of work to do on that front and I predict many still will have when we enter 2012. Jon Busby on 03/01/2011 at 7:01 pm. You can be general or niche, big or small, city centre or provincial. All can work but the main thing is to be smart in how you deploy your services to your market. Niche firms can still be inefficient. The absolute key is to be efficient, Why? Because you operate in a market. Markets destroy inefficient suppliers. The winners will be the smart firms irrespective of size, niche or location. Brian Inkster on 03/01/2011 at 7:18 pm. Good point Jon. Totally agree. Small/niche firms do, however, have the propensity to be more nimble than their larger counterparts and can steal a march on them. But you do, as you quite rightly say, have to be smart and astute as well as nimble. Julian Summerhayes on 03/01/2011 at 7:19 pm. I am still undecided if technology or the social media platforms will be that big a driver either in growth terms or giving firms a (huge) competitive advantage – either this year or next (or possibly ever in some cases!). I arrived at social media as a way of staying in contact with and receiving instructions from my sports related clients (they were early adopters of Twitter and LinkedIn) but as things have gathered pace – both in numbers, the plethora of options and the linking of social media with Web 1.0 – I still don’t see any one firm jumping the curve simply by arriving at and using new technology. In short, they are not a game changer (yet). The Forrester research which developed the social technographics ladder and the social technographics profile has not been replicated in the UK for law firms. Until some meaningful research is done most firms will be wasting a huge amount of time trying to find a medium or suite of tools that deeply connects with their clients, raving fans or sneezers. It is a bit like pin the tail on the donkey right now. Oh sure there will be those shouting from the rooftops the +/- of this platform or that one and how they won £x in new business but let’s be honest if it was as easy as setting up a Twitter feed and blog and just watch the turbo kick in and the £££££ flow then every firm up and down the land would be taking part. We all know that it just doesn’t work like that and requires above all else firms to stand in the shoes of their clients (no actually to assume their client’s persona in every single respect) and understand how they can solve a problem, make the buying process easier and most of all create an emotional experience that rapidly drives Word of Mouth referrals. There is also the rigidity in the system and the fact that law firms will iterate until the proverbial cows come home before they put their money were their mouth is. Too often I have heard partners talk about the downside without once looking at the almost unlimited options and opportunities. In a world that is filled with clones, I would have thought that anything that is free that gives some distinction would be jumped upon. Sadly not. And that is where the rubber meets the road. Firms not only have to look to use the tools and technology they have to do so in such a way to be remarkable otherwise they will find that any traction will be short lived and of no or little effect. Brian Inkster on 03/01/2011 at 8:39 pm. The use of social media by law firms could in itself be seen as remarkable. But as I have often said there is little point using social media unless you have sorted out the Mothership. Good websites should be at the heart of any modern law firm. That is websites that will bring new client work to you and encourage return business and referrals. These websites need to have a lot of good relevant content on them and the content needs to be updated regularly. This is where blogs can be used to good effect. Social media is a layer beyond but linked to this. It can also be used to great effect alongside and in conjunction with a law firm’s websites. Those using social media need to know how and why they are using it. You have yourself commented on the law firm Twitter accounts that are not following or engaging with anyone. They have been set up half heartedly in the same way as the non SEO brochure websites that the same law firms no doubt have. Jon Busby on 03/01/2011 at 7:46 pm. What lawyers are not factoring in with a ‘reactionary’ approach is that markets can close up very quickly, literally before you even realise it. I sometimes wonder if in say 5 or 10 years time the average town will have just 3 or 4 law firms. Many lawyers say to me that they have been through times like this before. The difference this time can be summed up in one word…technology, and more specifically accessible technology. Accessible to the supplier and accessible to the buyer. Law firms are missing a huge trick here and will suffer the consequences, far too late. Sure you can come to the market late…don’t forget to build in you lead in times, training time, internal optimisation time, work how you are going to take these new tools to market etc…this could equate to months, maybe a year. C start building a deployment plan so I stay ahead of the curve and not be crushed by it. Online legal will grow exponentially and it’s law firms procrastination regarding strategic development ( I don’t type to make friends, just tell it straight) and in many cases, denial, that will do them in. The three great threats to law firms: fear, ignorance and arrogance. Sometimes I feel lawyers chit chat away about social media because it is the latest buzz. The key thing is to think about where clients go, how to get clients driven to you then engaging. Clients in the main start via Google…i mean come on guys, its that simple. But SEO is only the beginning. What will differentiate you is what you do from Google to contact…that’s where things will get really interesting. Social media will not do this at this stage in the market for most law firms. if you have to use an online tool then the website is key. I ain’t gonna bore you about that now…got a sirloin on…but happy to expand out some other time. Brian Inkster on 03/01/2011 at 9:25 pm. I am beginning to wonder what I have let myself in for with this Blawg! John Bolch did warn me (after I had set it up that was). I wasn’t expecting this much activity on it following what is just my first substantive post. At an ABS Conference in Glasgow in 2010 a speaker asked the audience (almost all lawyers) how many had a Business Plan. You could count those who answered yes on one hand. This is clearly a problem when considering the need to ‘start building a deployment plan’. Google Search is already featuring real time social media high in its results and it is predicted that this will, if anything, increase in prominence. Another good reason to have a social media presence that may help when that first port of call by prospective clients is Google. But I agree that websites should come first and foremost in a law firm’s strategy (see my response to Julian above). Laurie A on 03/01/2011 at 7:51 pm. As for the Blackberry tablet, I find it hard to see that having much impact. One of the problems with the adoption of new technologies within medium/large firms is that there are always two parties involved. First, there is the IT department. Their number 1 priority (quite correctly) is to make sure that nothing bad happens – no data security breaches, no system outages etc. This naturally will make then very conservative: not surprising when the consequences of something going wrong are such a problem for them. This leads to the dominance of the long-established and reliable technologies – Windows, Microsoft Office and Blackberry. Second, there is the lawyer, who will typically either be indifferent or hostile to new technology. In smaller firms, it is usually the lawyer who runs the IT, making things even more conservative. There are rare examples of IT departments who are bold/reckless enough to try new things, and lawyers who are enthusiasts for new technology, but either of those who see the need for a tablet will already be on the iPad. So my prediction is that the Blackberry tablet won’t gain much use in the legal world in 2011. The techno-enthusiasts will already have been using their iPads for 12 months before it comes out, and won’t see the need for anything new, and the rest of the profession don’t want a tablet. The basic Blackberry mobile phone/email device will remain ubiquitous, and laptop use will increase. Brian Inkster on 03/01/2011 at 10:23 pm. As a non iPad user (I have a Net Book) it is difficult for me to comment further. I will however lift Charles Christian’s comments from Twitter (to preserve them here if for no other reason) and if you have any further comments then please do make them. Your prediction for laptop use increasing in 2011 is interesting. When I set up Inksters in 1999 I had a laptop and not a PC for my own use! HighlandLawyer on 04/01/2011 at 1:49 am. As a lawyer who runs the IT, I see no need at present for tablet machines, but if I did it would not be the iPad. The reason for not needing one is that netbooks are so much more versatile and ergonomic. They will run whatever a desktop or laptop will, meaning users are familiar with the software (catering to their general conservatism) and lets one use the same document automation systems, and most use outwith the office involves taking notes or data, where a keyboard is still an easier way for data input. Ironically what we are looking at it touch screens for workstations in place of mouse or touchpad, and netbooks (with full size keyboard attached) in place of desktops. If we were moving to tablet machines, it would not be iPads for the simple reason of proprietary software lock-in; we don’t want Apple telling us what software we can use or develop for our kit. Brian Inkster on 04/01/2011 at 11:02 am. I likewise have not felt a particular need as yet to get an iPad. I also use a Net Book. I may be interested in a Windows 7 Tablet when that arrives as I am a fan of the Windows 7 phone. Given that we use Windows in the office (as most lawyers do) I can see no good reason to mix the systems between the office and outwith the office. Interested in your plan to use touch screens in place of a mouse. Can you elaborate on why you think this will be an improvement? HighlandLawyer on 04/01/2011 at 1:11 pm. Monitor prices have dropped over the last few years, and touch screen monitors are now coming in at the prices ordinary monitors used to be, meaning the price element in deciding between mouse and touchscreen is less relevant than in the past. A typical users setup has a keyboard in front of a screen, and a mouse off to the side. A user types away until they have something that needs the mouse. It seems more intuitive and ergonomic that one lifts the hand from the keyboard and touches the screen (at the point one is already looking at) rather than reach to the side to use the mouse. Also removing the mouse gets rid of a piece of desk clutter. We are giving it a trial on a couple of stations, and will see how it works in “real life” use. Brian Inkster on 06/01/2011 at 10:00 pm. I think it would take a little bit of getting used to. Also wonder if you would end up moving your hand a lot further in a day than you would with a mouse with it being less efficient? I will be interested to hear how you get on with your trial. Do let The Time Blawg know. Jon Busby on 03/01/2011 at 7:53 pm. What research do you need Julian? You can even pass some of the margin back to drive more clients. Only lawyers could want more and more research. Steven Mather on 04/01/2011 at 5:51 pm. I would love to chat to you about this, and the opportunities it may bring me. Incidentally, I think ou and Julian are at different ends. Quality vs something else. Im planning for both! Re the thread, as someone just starting out on my own, I’m spending a lot of time to ensure very thing is spot on law 2.0 style, and hopefully that’ll pay dividends. Jon Busby on 03/01/2011 at 7:55 pm. The Blackberry Tablet salesman selling into the legal sector. Now that is a tough gig…send him my way. I’ll by him a beer and compare notes lol. Jason on 03/01/2011 at 8:19 pm. In the UK we need to see technology as less a nerdy thing that it’s fashionable to “not understand” and more a critical skill like reading and writing. I hope therefore your #1 and #2 predictions do start to take hold in 2011 and that firms that ignore them get left behind! Brian Inkster on 03/01/2011 at 8:54 pm. I was left almost speachless when I was told about his first mobile phone. If I recall it was his wife who insisted he got one so she could keep in touch with him! Firms that do ignore my #1 and #2 predictions will indeed get left behind. It takes time to build a social media presence and a blog (although I must say I seem to be doing okay for visitors on The Time Blawg in just 3 days!) so the longer you put it off the further behind you will be. Julian Summerhayes on 03/01/2011 at 9:57 pm. I am sorry but simply having a wizz-bang website or a couple of ubiquitous plug-ins is not in the least bit remarkable. And, as to content, there isn’t much WOW stuff around that I have seen (perhaps I am being too parochial). Having some research Jon like the Forrester stuff is VERY meaningful. Where is it for UK law firms? Why would I waste my time with a firm that doesn’t have the right medium to engage with? As to buying legal services on-line, I accept that this will increase but don’t think lawyers are going to sit back and just let it wash over them. Nope, not a bit of it. They will get better at client retention, building systems that offer a better experience and ways and means of justifying the value of a single will over the on-line version. I am not in the camp that equates a commoditised product with a commoditised legal service. We have Brights and Coodes down our way and yes I am sure the project is paying its way but as I see it is simply a portal to higher value/priced work. In other words the ends justifying the means. My colours are firmly nailed to the mast espoused by Tom Peters in The Little Big Things or Re-imagine. It is sweating the detail (e.g. which firm has an unlimited flower budget – that is sure to WOW more clients than reading a Tweet or two) that is important as well as embracing new technologies and social commerce. Having practised for 14 years, I know that law firms can be a challenge in terms of getting things done or to see significant change but I am not convinced that there will be wholesale carnage amongst their ranks. Jon Busby on 03/01/2011 at 10:29 pm. The thing that worries me is that you are dismissing the web ‘as is’ yet you have not, as a business development person, engaged to discover/understand how automation INTEGRATES both into the web site and within the law firm. It is all well and good espousing the philosophical theories of Godin and Peters but you are shoe horning their wide eyed customer service macro theories onto a micro world of an individual practice. Personally I think using automation to double your margin and maintain your quality delivery is pretty remarkable…but then that could be me 😉 I am so easily pleased. Clients are not looking to be WOW’d they are looking to have their problems solved, efficiently, transparently and with a degree of surety, then, put simply, get on with their day to day lives. I agree the web as is is simply not enough but to the best of my knowledge you have not seen in detail what automation can do both in terms of reducing the cost to serve and delivering what customers want which, in the end, is actually what Godin and Peters are espousing. Brian Inkster on 03/01/2011 at 10:49 pm. On the topic of content on law firm websites it does not have to be WOW it just has to actually be there. Many law firms have very little detail on their websites about why they, over other law firms, might be the firm of choice for a potential client surfing the web. Case studies and a demonstration of knowledge in your areas of expertise is all that is required at the moment to steal a march over most competitors. ‘Content is king’ as they say. As your competitors catch onto this simple fact and increase their content more innovative ways of keeping potential clients on your website and converting them into a client may be required. Automation may be one of these. If you were a firm with more relevant web content than your competitors + automation then chances are you will stay ahead of your competitors. Julian Summerhayes on 03/01/2011 at 11:21 pm. I am really struggling with your ante/pro support for Seth Godin and Tom Peters. Which camp are you in? Is it your view that automation in and of itself e.g. buying a single will on-line is all that clients want? It’s not that we are not singing from the same song sheet but you seem be pretty dismissive of what you describe as their “macro theories” when it reality that is all that web “as is” will be when you have 100s of firms all offering the same on-line service. How will I then differentiate one from another? Price? Sorry Jon if I have misunderstood you. Jon Busby on 03/01/2011 at 11:37 pm. No problem Julian…I am just cynical about gurus telling us how we should do things. It’s not that hard after all. Better to talk about actual tools that can deliver actual results rather than clever theories and keynotes. For example Steve Jobs is full of theories and keynotes but he has the tools to back them up. It is those tools that give him his authority and legitimacy. But in truth…it’s bed for me. We can continue tomorrow. but if you want to know what I think about differentiators then I would suggest reading my blog. Price is a differentiator…but as I keep shouting…it’s not the only one. Jon Busby on 04/01/2011 at 9:20 am. I would like to pick up on your points made in your last post. Wel…I am in the “make more margin, be more efficient, deliver convenient services, offer choice and maintain the quality standards that the legal profession is renowned for” camp. I do not need the Godin’s or Peter’s of the world to tell me how I should operate but I do accept that others may find their musings useful. I am not entirely sure what they are selling…offer better service, better engagement, listen, inspire etc. Well that is bog standard stuff in my book and if I do have a gripe then it is people preaching “the bleedin’ obvious.” Fair do’s to them, they earn a pretty penny touring with these messages. But as I said above I am interested in actuals…actual things that work, actual things that make a difference. You allude that all law firm websites are the same, which in many ways is the case. This is an early market…I think law firm websites are about to come into their own over the next year or so. But you are suggesting that the web is an all or nothing, or, worse, firms run a traditional model and a separate online model. Neither of these, in my view, is correct. They are all one in the same. My point being that law firms need to harness all tools as appropriate to the individual client. So old Mrs Miggins is more likely to want to come in and engage traditionally but Mrs Miggins grandson who is starting up a business may be more time poor, price sensitive and would therefore value the benefit of online engagement and only want face to face for the high value stuff. If you can’t service young Mr Miggins how he wants then he will search for someone who can. And Mr Miggins has some very powerful search tools at his disposal today. As Brian rightly points out, having a traditional delivery model combined with an automation model can only be good (assuming law firms understand it, and if they don’t understand it i don’t sell it to them) and that will provide one heck of a differentiator. Even if you have 100’s of firms doing this then is the time that how you position it will be a win or lose situation. So law firms need to deploy a suite of tools and execute them based upon client need. I would respectfully suggest that you need to gain a better understanding of web based automation tools…how they are used on a site, inside a firm, by a fee earner and by a client. There are multiple ways they can be used for multiple situations. I am always happy to help you (or anyone) with that…all you have to do is ask. Next you suggest that price is the only differentiator. I disagree. It is one differentiator as are convenience, access, good customer service and that old one, providing actual solutions to actual problems. It is only through sharing that we can learn Julian. It is only through learning that we can develop. It is only through developing that we advance. Brian, I think I may step back from this now. I am conscious that what is a very good post is being somewhat hijacked. Brian Inkster on 04/01/2011 at 11:13 am. No need to step back Jon. I am enjoying the debate and we do have other threads going on here at the same time (e.g. iPad v Blackberry v Windows 7). I will sit back and await Julian’s response to you and trust that the debate can continue. Perhaps some other visitors to The Time Blawg will be tempted to join in this particular debate. Jon Bloor on 04/01/2011 at 9:25 am. I am only just catching up with the TimeBlawg Brian as I have been on a self-imposed Twitter break over Christmas… but it is great to see that you have taken the leap! Very impressed with the posts and the level of debate and comment so far – well done! I suspect the “showdown” between the iPad2 and the RIM Playbook will be interesting… not just a hardware battle either as there is a clear divide between Apple and RIM as to where they see the future of mobile applications. Will these be delivered via the App model (the Apple view) or via the browser (RIM’s counter-argument)? Personally I find that there is room for both. Whilst some applications work much better as a standalone app, the iPad browser is so good that a lot of applications could be delivered through mobile Safari (and I can see this being ever more the case as HTML5 becomes more widespread). Best of luck with the Blawg anyway – look forward to reading your future posts! Brian Inkster on 04/01/2011 at 11:08 am. As I have just posted above, in reply to Highland Lawyer, I may be interested in a Windows 7 Tablet when that arrives as I am a fan of the Windows 7 phone. Given that we use Windows in the office (as most lawyers do) I have seen no good reason to mix the systems between the office and outwith the office. Any views on this approach? Stuart Murray on 04/01/2011 at 12:47 pm. I remember an Apple II being used as a calculator in head office accounts, instead of controlling production in the Lochaber smelter, but since the advent of the PC, DOS and Windows, Apple has not featured in my life. I bought an iPad with some misgivings that my “investment” in PC know-how would be wasted, diluted or confused. My fears were unfounded. The iPad sits happily between my office and home PCs, just as my BlackBerry does. The iPad is so user-friendly and versatile that it’s my go-to tool in the office, in the tube and at home. Finding information seems so simple and quick with a touch screen. The wide choice of business and productivity apps has automated many little chores, integrated home, work and other interests and opened up new horizons. That choice may come to other machines someday – all well and good if it increases competition. In short, the debate about mixing systems is irrelevant – to me. We don’t support Apple hardware or software in the office, but we don’t need to. When did you last call IT Support to fix your mobile phone? Brian Inkster on 04/01/2011 at 1:22 pm. Good points. Although when I did get my Windows 7 phone there was a syncing issue that I did need to call IT Support about. There was a problem with our server that had to be resolved before the syncing worked. Since then no issues. Things have maybe improved since that post back in June 2010 (and Jon Bloor may wish to comment on this). However, it is when I see comments like this that I (perhaps wrongly) think that I am as well to stick with my Net Book and Windows. Jon Busby on 04/01/2011 at 11:34 am. The winner will be the device, OS that you like. What matters is not what others think but what you like. Plus all devices and OS’ need competition…keeps them all innovating, which is good for the consumer. Julian Summerhayes on 04/01/2011 at 11:52 am. I am not sure I can add much to the thread. And no I don’t have ‘personal’ experience of using web based automation tools (and if you have the time I would love to find out more) and my only exposure is looking at the aforementioned firms and discussing them with one of the partners. I think it would be good to see what others have to say. I think it best if I step out of this one and let others chime in. Enjoyed the dicussion. Jon Busby on 04/01/2011 at 12:11 pm. No need to step out Julian, all debate is good debate. If you want to know more I can come over and chat it through with your firm…face to face, human to human stylio. Then you can make your own minds up. I think one thing that needs to be taken into account though is that automation deployment, at least at its distribution into firms, is in its infancy. (Automation technology itself is at a very advanced stage, and constantly evolving). Even those firms who are using it are learning how to really exploit it, (a thing we major on in a big way…part of our culture/values). But the key things those firms (and others) are doing which instantly makes them stand out in my book is starting to explore the deployment of real tools, dare I say defining tools, they are starting the process which means that they are ahead of other firms. So lets say a firm decides to leave deployment for a year that means that they will not have momentum until a year after that start point. An early adopter could have caused a lot of damage in your market by then. Launch and grow…try not to find out everything straight away, because most of what you find out will be on the journey. colmmu on 04/01/2011 at 10:33 pm. First I hope in 2011 we stop calling it “social media”, having been a media professional for a number of years I can safely say media isn’t social, this is why Twitter et al scares all the trad media. Twitter et al are “social” and more communication than media. So I’d like to see some of this more reflected in the linguistics in 2011. Extrapolating from the “social” element, we’re going to see a bigger explosion in “peer recommendation” and adding a “social” layer to all our web activity (predominantly mobile) – this will become more important to a wide array of legal services that involve the public – will be interesting to see whether we see full impact of LSA in this arena within 2011 or more likely 2012/13. I can see big rise in video for all manner of use from training/ internal comms to range of marketing/ free information giving etc – the key will be managing the content rather than the technology – this is where I have seen some catastrophes this year from law firms – a handycam does not a content producer make and don’t have the wool pulled over your eyes by charlatan media has-beens either in consultancy! Marketeers will finally get that user generated stories and engaging in customer discussions within social is more engaging than tired marketing broadcasts telling consumers what to think. The efficacy will become easier to see and monitor in 2011 as space matures. Frequency, quality and relevancy of discussion will become more important than understanding what the tools do technically. This will require a deeper understanding of communication theory, rather than buzzwords and tech – in the meantime many snakeoil SM gurus will still hoodwink many. Anyway that’s my tuppence worth, would like to see social learning within law get stronger framework too to allow mentoring in an achievable way – that may be one of my projects for the year! Brian Inkster on 05/01/2011 at 11:16 pm. The question is what do you call social media if not ‘social media’? I rather think that the name is here to stay for the foreseeable future – although agree it is not an ideal one. ‘Peer recommendation’ is certainly one of the benefits I have seen of social media and very happy if there is a bigger explosion of this as you predict. Interested by your prediction on LinkedIn pages. Having set one up for Inksters a few months ago I could not see it being particularly useful. However, I was not aware of the new features now introduced as referred to in the link you supplied. I will have to revisit the Inksters LinkedIn page in light of this. Filemot on 05/01/2011 at 9:35 am. In 2011, I think we will see more use of sound. With ever-increasing storage capacity, it is quite feasible to store and transcribe sound recordings as part of a legal file. we underutilise voicemail. We now need to integrate sound with our other systems and be able to deliver it more effectively to clients. Some people will add video but the sound is the important thing and being able to listen again to advice is more helpful and imperfectly recollected telephone conversation or a long letter. Laurie A on 05/01/2011 at 2:36 pm. A good point from Filemot. I often wonder why it has not become normal to record professional phone calls and meetings, given the emphasis that the profession has on keeping a record of everything. Apps like Soundnote (http://ipadlawyer.co.uk/soundpaper-a-great-notetaker-app-for-meetings) promise the best features of both written and audio notes. Certainly storage limits will not stand in our way any longer. It is also true that the overheads involved in audio are much less than those with video, making audio a much simpler option for firms trying out different media. Shireen Smith on 05/01/2011 at 6:31 pm. Filemot/Laurie Thanks for your comments about sound. We have voice recording as standard with our VOIP telephone system. It’s proved v. useful internally for keeping track of conversations. Once or twice when a client has tried to get out of paying for a service they requested or similar, we’ve swiftly sorted them out by just reminding them that we record all conversations. It hasn’t occured to me to send some recordings to clients, or prospects, and will now consider whether this might be a good move. Brian – Well done on setting up such a popular blog. Massive time sink for you though, I fear. Maybe you will soon be engaging someone to assist in managing your social media and blogging, if you haven’t already done so. Brian Inkster on 06/01/2011 at 10:30 pm. Interesting thoughts on the use of audio. I have noticed over the past year more blawgers introducing podcasts to their blogs (Michael Scutt and Neil Denny spring to mind). Charon QC has, of course, been doing them for some time. This may well be an increasing trend as you say. May need to try it on The Time Blawg! Shireen – Thanks for the kind words. I am noticing the time sink already! I am sure it will be an enjoyable experience though. Louise and Iain assist with social media and blogging at Inksters. No assistant in The Time Blawg’s Tardis yet but hope to have a succession of such assistants providing Guest Blogs (starting very soon). Laurie A on 06/01/2011 at 11:01 pm. How do you handle getting client’s/others’ permission for recording? That is the major objection I have heard to recording calls. Colmmu on 05/01/2011 at 11:29 pm. Additional note on filemot’s point, I cannot recommend the Livescribe pen enough for great audio synched note taking enough, revolutionalised meetings for me. Brian – I think Linkedin will find it’s place firmly this year for professional networks, it’s starting to get it’s functionality right. It will get better, that new function is a big step in right direction. Brian Inkster on 06/01/2011 at 11:07 pm. Not tried the Livescribe pen. Saw one (or similar – if it has competition) a while ago but it looks (from the Livescribe website) more sophisticated today. Will possibly now invest in one given your high praise. What I don’t like about LinkedIn is the repetition of Twitter streams. I wish professionals would be more selective about the tweets they display on LinkedIn rather than dumping their whole stream in there. Would prefer if LinkedIn controlled this a little bit better. Maybe this will improve with other functionality upgrades. Victoria Moffatt on 06/01/2011 at 11:46 am. Wow – what a great and somewhat heated debate… Brilliant! For what its worth, I suspect 2011 will be the year of the blawgs. Not much more to add but I was interested to see all the other contributors views. Brian Inkster on 06/01/2011 at 11:32 pm. Yes… the debate is taking us in various interesting directions! I will certainly be following up some of the suggestions that have been made. Here’s to the Year of the Blawgs! Jon Busby on 06/01/2011 at 11:47 am. I get loads of people approaching me with ‘great’ ideas. Invariably they over promise and under deliver. When you ask an expert you expect/demand they are more aware of things than you, or you wouldn’t ask them in the first place. Andrew Sharpe on 06/01/2011 at 8:10 pm. 1. As a frequent traveller, I’m often stuck without internet connectivity or power (eg on a plane) so I really like my Kindle and its light weight and long battery life. Please can I have some decent resource materials as Kindle apps? Let’s start with all UK legislation on http://www.legislation.co.uk and for my line of work, all Ofcom papers (for those of you lucky enough not to deal with these, they routinely run to over 100 pages). 2. A project management software platform that is easy to use and integrates with my firm’s billing system. Let’s get real about fixed fees etc.! 4. Full 3G coverage in UK, including repeaters on train/road tunnels etc.. I dream of being able to sustain a usable connection for the whole of my UK commute from London to Portsmouth by train. (See 1 above). Lastly, an IT-related plea: why aren’t we teaching primary school children to touch type as a standard skill? Then I’d expect graduates of any discipline to be able to use mainstream software packages to their full potential – I seem to spend as much time teaching some trainees about how to use Word and PowerPoint properly (don’t get me started on Excel! ), as I do any law. Brian Inkster on 07/01/2011 at 12:04 am. This does bring an interesting slant to the debate. You should try travelling to Inverness by train and attempting to get 3G coverage! Although even on the main train routes from Scotland to London the WiFi is not that great despite claims of huge improvement and investment in it. Agreed re. touch typing. However, primary schools maybe need to get back to the basics of mastering the three R’s in the first instance! Colmmu on 07/01/2011 at 10:38 am. As a primary governor I managed to instill the higher need To teach touch type as part of the curriculum, it’s going very successfully. unfortunately though someone in their infinite wisdom decided to axe BECTA the org that was making radical improvements to ICT use in schools. Shall be interesting to see what next week’s school tech conference BETT will be covering. That said after seeing the work of Sugata Mitra (worth looking up his TED talks) I think maybe we don’t actually need to teach kids how to use computers, just give them to them. I am amazed at how my kids are taking to the iPad, especially the 7mth old when she can get her hands on it, she’s Sussex the navigation to baby sound/ sense apps already! I’ve heard the Dragon legal edition is not bad now. There’s some good Stanford lectures on voice recognition developments in iTunes Uni, the lectures in the Human Interaction Computing syllabus are making my commutes very interesting. Tessa Shepperson on 06/01/2011 at 11:05 pm. I would like to see computers which booted up quicker, broadband which did not go off when you are doing complicated online research, and servers which did not suddenly put your web-site offline! Brian Inkster on 07/01/2011 at 12:11 am. That would be perfect Tessa. If only…. Lisa Solomon on 07/01/2011 at 1:53 am. Brian Inkster on 07/01/2011 at 10:58 pm. Thanks for alerting me to what I assume is the first Windows 7 Tablet. As far as I can gather from a quick look at UK tech websites there is no word on UK availability or pricing just yet. We will no doubt be a few months behind the US in getting it. Will keep a look out for announcements over here. Neil Denny on 07/01/2011 at 8:13 am. Good morning all and thanks Brian, for mentioning the podcast. I have had great fun podcasting for the last 3 months and would recommend other bloggers look at using audio. My set-up for recording and posting is pretty streamlined. A 30 minute podcast will take an hour to prepare, record, post and distribute. I have often thought about recording conventional blog posts as well as very short audio files to enable people to listen in rather than read. A big thanks as well to flagging up the Livescribe pen. Woah. There is an exciting piece of tech. A couple of years ago I was mulling over this idea of recording meetings. I was contemplating flipping a whiteboard over onto a horizontal plane, with a projector in the ceiling. Participants could then draw on the whiteboard/table. Documents could be projected onto it and everything could be stored. When iPad came along, that idea should have become obsolete… I am still waiting for the synchronised iPad meeting app however. Great blog Brian… now I know where you are all hanging out! Jon Busby on 07/01/2011 at 10:16 am. I played with podcasting a year or so ago. 3. Must be regularly updated. I don’t subscribe to the argument that you should YouTube and podcast your site willy nilly. First questions re any media pointed outward; who is my market, what am I looking to achieve, will they actually listen, have I really got the time luxury of building it so what’s the ROI. I enjoyed making my podcasts but in the end I had more pressing things to do. Brian Inkster on 07/01/2011 at 10:38 pm. Thanks for continuing the podcasting thread. For someone starting out what ‘kit’ would you recommend? Laurie A on 07/01/2011 at 11:20 pm. Sticking my oar into the podcasting thread (and mixing my metaphors) I’m using a Yeti microphone (approx £100) plus Garageband which comes free with Macs. That plus an internet connection is pretty much all you need assuming you are not interviewing people remotely, which I know is something Neil has made a feature of. Thanks for the reply Shireen. Brian Inkster on 08/01/2011 at 1:00 pm. Very happy for you to stick your oar in. So the cost is not high. I assume that you will get microphones that are cheaper than the Yeti but that you would want a good quality microphone for the good production quality that Jon Busby refers to? You refer to Garageband for Macs. Does anyone know what the best option would be for someone with a PC rather than a Mac? And if you are interviewing people remotely what is the best kit to use to do so? Neil Denny on 08/01/2011 at 3:49 pm. I set up a conference call on Skype and request that all guests have a headset to assist with sound quality. If guests do not have a headset (cost £20-25) then I will telephone their landline or mobile. Skype and Pamela still picks this up for recording purposes. Once everyone is online then I press record on Pamela. Pamela also has a little utility that you can drag .WAV sound files into. This enables me to play sounds over the top of the call. This is how I play my intro/outro music, for example. The result is that everything is done on the fly in realtime. There is no need for subsequent editing. Once the call finishes then Pamela saves everything as an .MP3 file. There are faclities on Pamela to post this MP3 automatically but I was not able to get that to work. No problem, I now manually press upload to place the MP3 onto my blog domain server. Once I do that then the podcast updates automatically on iTunes and several other blog sites using an RSS feed. I used http://www.feedburner.com to do this and the website there is self explanatory. Finally if you want a PC sound editor which has adequate manual editing functionailty for podcasting then download Audacity. If you want to hear a sample of my podcast then go to http://www.collaborativelaw.tv or search Collaborative Law over at iTunes. Brian Inkster on 08/01/2011 at 4:25 pm. Skype, Pamela and audacity (if required) seem therefore to be the standard kit anyone would need to start podcasting. Anyone know of any alternatives? Shireen Smith on 07/01/2011 at 10:31 am. Calls are first answered by a recorded message which alerts callers that we record conversations. Colmmu on 07/01/2011 at 10:43 am. The thing I most like about the Livescribe is the ability to share the recording as a pen cast, I tend to think visually and like making recordings as podcasts with developing mind maps to accentuate the content or help illustrate. You can Share as a flash video file or there is a iPhone/ iPad app for offline access. I posted a session I recorded with Sir Ken Robinson on my blog. Next week am at the handheld learning conference and once again will come away with lots of good content and notes. Tom Hiskey on 07/01/2011 at 4:09 pm. Legal documentation online is big business in the US and I can’t see why it won’t burgeon over here sooner rather than later. I hope we’ll be a big part of it within a year or two. We’ll see. One thing’s for sure (to my mind, at least), online / cloud-based delivery of legal systems, both for the public and for law firms, will increasingly occupy the middle ground. And I agree, by the way, that predictions for documentation systems (and more comprehensive packages, like the ones we’re working on) are few and far between… which surprises me greatly. Brian Inkster on 07/01/2011 at 11:09 pm. What do you consider a “more comprehensive package” to be compared with other ‘documentation systems’ that may be on the market place? Tom Hiskey on 08/01/2011 at 11:53 am. We take the view that law isn’t just about documents. Our “Wizards” (the name we give to our tools) will take a user through a process from start to finish, with documents, letters, interactive systems, guides and tips along the way. The probate process, for example, cannot be completed with forms alone. So our Probate Wizard will provide not only the forms but also letters to banks, an interactive system for keeping track of assets, guidance throughout and an intuitive interface… to name just a few of its benefits. We believe this approach has more to offer than an online documentation system and will give punters the trust and confidence they need to perform legal tasks online. The amount of value we can add will, of course, differ depending on the legal task at hand, as some tasks are more “form-based” than probate. But we believe we can add value across the board. …so, in a nutshell, that’s what I consider to be a more comprehensive package! Brian Inkster on 08/01/2011 at 12:53 pm. I think you are in effect saying that your “Wizards” will take someone through a whole legal transaction online rather than just produce certain one-off documents that they may need? You give the Probate (we call that an Executry in Scotland) process as an example. We all know that there are always going to be variations in any two estates. Will your Probate Wizard be able to cope with every variation that may occur to ensure that your ‘punters’ do not miss something along the way that a solicitor would have intuitively picked up on? Do you see a solicitor being involved at all in the process to help the punter through it or will it simply be down to the punter and your Wizard? Tom Hiskey on 08/01/2011 at 1:21 pm. You’ve got it spot on with the first paragraph. The Probate Wizard will not be all things to all men. There’s no substitute for a solicitor in many situations. Taxable and/or complicated estates are not suitable for The Probate Wizard, and this will (of course) be made very clear indeed. In those cases, and in all others, we will offer support from solicitors (not us – we are not a law firm – but from our professional partners). We also hope to offer a more limited review system. I can’t go in to much detail at this early stage, but the key point is that The Probate Wizard will be supported by experts. However, around 50% of probates are conducted by lay people already, with only 2% of those regretting they did so (according to a recent poll). In those cases, The Probate Wizard will be a helping-hand, in many cases we believe without a need for expert support. You’re right that every estate is different, but it’s also true to say that many estates are very similar! Sadly The Probate Wizard won’t be available in Scotland until further down the line. Brian Inkster on 08/01/2011 at 1:36 pm. I think you are therefore saying that where it is currently a DIY if you want to situation (without the need for a solicitor) your Wizard will make the task an easier one? Indeed it may encourage executors who would have gone to a solicitor (when there is no real need to do so) to do it themselves with the help of the Wizard. We are used in Scotland to such technologies arriving here after they have been tried and tested in England & Wales. Tom Hiskey on 08/01/2011 at 1:42 pm. Again, you’ve condensed our ideas perfectly. We’re a small team just getting under way and it will be some months before the release of The Probate Wizard. A web site with content, videos and more about the Wizards will be online soon. I’ll let you know when we’re up and running. Brian Inkster on 08/01/2011 at 1:48 pm. All the best with the Probate Wizard and I look forward to hearing from you when it launches. Tom Hiskey on 08/01/2011 at 1:52 pm. Tessa Shepperson on 08/01/2011 at 3:23 pm. I am going to record the interviews via skype with Pamela (the software that is) and then edit it in audacity to create a MP3 file. It is displayed on the blog with a plugin called audio player. I bought the music from RoyaltyFreeMusic.com – it cost about fifty quid so its not cheap. But I really like the music and will use it now on all the landlord law audios. Brian Inkster on 08/01/2011 at 3:53 pm. The ‘teaser’ was very clear. Laurie mentioned that he was using a Yeti microphone. What type of microphone are you using? Is Pamela and audacity available for PCs and/or Macs? The music adds a nice touch to it. Given that you will get a lot of use out of the music for all your podcasts I am sure that you will find that it is money well spent. Tessa Shepperson on 08/01/2011 at 5:40 pm. Hi Brian, glad you liked it. I have a headphones and mike set, its a logitech one and cost I think about £35. I am pretty sure that Pamela and Audacity are available for the Mac. Audacity is free but there is a fee for the professional version of Pamela. Yes, I think having some music makes things sound more professional and also helps with brand recognition (ghastly phrase). Brian Inkster on 09/01/2011 at 1:55 pm. I look forward to listening to your future podcasts on the Landlord Law Blog. Dan Lyons on 09/01/2011 at 5:17 am. Thought I’d join the podcasting discussion with some thoughts that might help. I too would recommend the Yeti microphone from Blue. This is a condenser microphone (exceptional quality) and it’s USB, so plug and play. In terms of headphones, Sennheiser HD202’s are great and an excellent price. I am a Radio DJ and have used these in many stations I’ve worked in – they do the job great. You can get both the mic and headphones from Amazon. As far as recording software goes, Pamela is great, but I recommend you use an audio editor for recording so you can be in total control of your input level (how loud your voice is being recorded) as you record. Hope this helps. Please let me know if I can help with your podcasting enquiries any further. Brian Inkster on 09/01/2011 at 2:01 pm. I am wondering if we will now be seeing lawyers podcasting like a Radio DJ! Dorethea Elbaum on 13/01/2011 at 8:22 am. Good blog! I actually love how it is easy on my eyes as well as the details are well written. I am wondering how I could be notified whenever a new post was been made. I have subscribed to your rss feed which really should do the trick! Have a good day! Brian Inkster on 05/02/2011 at 1:27 pm. When you posted your comment there was no ability to subscribe to discussion threads. I have, however, now added in a plug-in which facilitates this. Simply tick the box below the comment box to subscribe if making a comment or you can even use the subscribe function to subscribe when not entering the debate on a particular thread. Of course, as you say, there is always the ability to subscribe to the RSS feed as well.